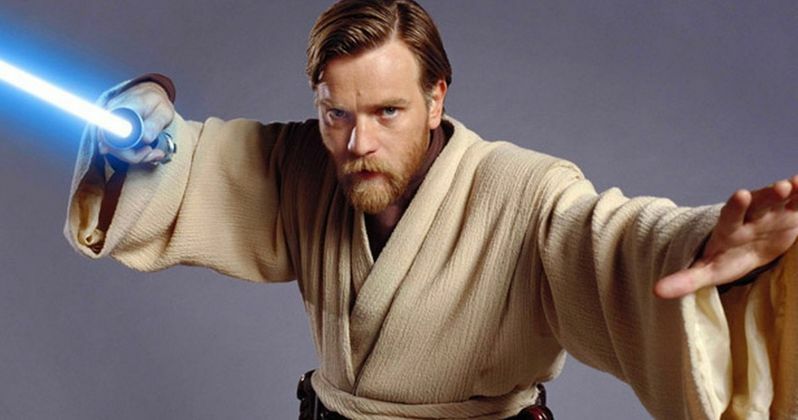 Though the Star Wars prequels have been a huge point of ridicule for both fans and critics alike over the years, most everyone agrees that Ewan McGregor's portrayal of a young Obi-Wan Kenobi was one of the best things to come out of the three films. But Ewan McGregor almost didn't play Padawan Kenobi in Star Wars: Episode I - The Phantom Menace. He had his reasons. But it was creator and director of that movie George Lucas that changed his mind. Before accepting his role as Qui-Gon Jinn's Padawan Obi-Wan Kenobi in 1999's Phantom Menace, McGregor admits that he struggled quite hard with the decision. The reason was simple. He felt the role was just too mainstream for him. FemaleFirst has his quote from Telegraph magazine. He has this to say about taking on the biggest role of his lifetime. "Star Wars is Star Wars, it's something I grew up with as a kid. At first, I was very reluctant to do it, because I saw myself as this urban, grungy actor doing films about heroin and stuff, and that's who I felt like I really was. But the nearer I got to it, the more I wanted to do it: and it wasn't for money reasons, because it was back in the day I got paid nicely for it, but it wasn't ridiculous by any means. It was to do with being in it and it didn't feel like Hollywood. George Lucas hated Hollywood he was in San Francisco following the beat of his own drum." There was another interesting incident that also helped push Ewan McGregor to becoming the iconic Jedi. He thought he had the lead role in Danny Boyle's 2000 thriller The Beach locked down. But that wasn't he case. And the end scenario severely hurt his relationship with Boyle, a director he had already collaborated with multiple times in the past. The Beach lead went to rising star Leonardo DiCaprio. And McGregor felt immediately betrayed. He explains. "I felt at that time that as an actor I was part of the new wave of something. I was lucky to be Danny's actor, and I felt part of something that was bigger than all our careers with 'Shallow Grave' and 'Trainspotting' less so, perhaps, with 'A Life Less Ordinary'. I felt we'd left our mark on British cinema.So when we were approaching 'The Beach', I thought I was playing that role and I was encouraged to think so; I was told for many months I would be doing it; and then I was told I wouldn't. And I was mystified and it had been handled badly, and whatever. But it hurt me very much at the time. I was rocked a bit, and my confidence was dented. And I didn't quite understand why they went down that path when I thought we were about something else. I understood when it came down to dollars. But it was a Hollywood version of something we weren't really about." There is no bad blood between Ewan McGregor and Danny Boyle at this late stage in both their careers. In fact, the pair reunited earlier this year to shoot the hugely anticipated sequel T2: Trainspotting, which arrives this February. And as luck would have it, we may be getting an Obi-Wan spin-off. McGregor wants two movies that explain what happened to the Jedi between the time of Revenge of the Sith and A New Hope. LucasFilm and Disney have not announced such a 2-Part epic just yet. But with one Star Wars movie planned every year for infinity, it sounds like more than just whispers of a wish. Ewan McGregor last reprised his role as Obi-Wan for a few lines of dialogue in last December's blockbuster behemoth Star Wars: The Force Awakens.